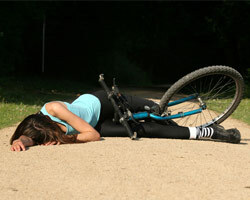 Have you been seriously injured as the result of a Bicycle Accident? By the thousands, more and more people are turning to bicycles as a primary way to meet their daily transportation needs. In addition, bicycling is a popular sport for recreational purposes, often putting bikers on a collision course with car drivers who don't always willingly share the road or yield the right of way. Unfortunately, the hazards caused by hostile or inattentive motorists, unkempt and debris-filled roadways, and dangerous dogs result in many riders experiencing serious personal injury such as head and spine injuries, loss of limb, and even death. Bicycle accidents may occur at any time. Whether you are riding your bike across the street to the local convenience store or your child is riding around the block for fun, bicycle accidents can happen in the blink of an eye. Road conditions and incompetent car or truck drivers are two of the leading causes of bicycle accidents. Drivers opening their car door without first looking behind them. Our bicycle attorney has what it takes to secure successful case resolutions for clients. Filing a personal injury lawsuit is a complicated and detailed process that requires an exhaustive understanding of the legal system and the determination to pursue your claim to the end. If you or someone you know has been injured on a bicycle, a bike accident attorney from our firm can help you obtain financial compensation for your suffering. If a loved one has suffered a traumatic brain injury or spinal cord injury and is now paralyzed, we will work tirelessly to see that you obtain maximum compensation. If a family member has been killed as a result of the reckless and negligent actions of a motorist, a Michigan bike accident attorney from Baldwin Legal Services PLLC can handle the complicated steps involved in filing a wrongful death lawsuit. We understand that the unexpected loss of a loved one can be devastating to a family, and our aim is to help. To learn more about your legal rights or to begin the legal process of filing a claim, please call 877-886-1441 or contact us online to schedule a free consultation. Call 911: It is vital that you wait for police to arrive at the accident scene so that they can take and file a police report. Even if you think you are not injured. Some cyclists don't realize they've been injured until several hours after the accident. And sometimes seemingly minor injuries later develop into serious and permanent problems. Get Your Version of Events into the Accident Report: Sometimes, the police officer will take a statement from the motorist and not bother to talk to the cyclist. Do everything you can to get your side of the story into the police report. 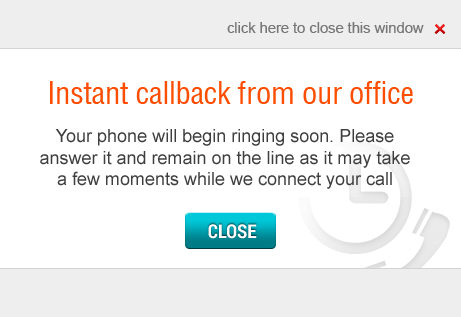 And report all of your injuries, no matter how minor. Remember, those minor injuries may later become more serious. Obtain Driver and Witness Contact Information. If possible, get the name of the automobile driver, as well as his or her address, phone number, driver's license number, vehicle license number, and insurance information. In addition, try to get names and contact information for everyone who witnessed the accident. Don't assume the police report will include all of this information. Take Pictures. If you happen to have a camera with you, take pictures of the accident scene, damages to your bicycle, and any visible injuries that you suffered. Preserve Evidence. Leave your bike and other damaged property in the same state as after the accident. Don't attempt to fix anything or have anything inspected. Don't wash your clothing. And don't send your bike, helmet, or any other equipment to anyone other than your attorney. Seek Advice from a Professional. Many accidents between bikes and cars involve complex legal issues. You may want to consult a personal injury attorney who understands bicycling or has handled bike accident cases. If you have been injured in a bicycle accident, you need answers about who will be paying your medical bills, who will help you recover from the injuries you have sustained, and who will pay for damage to your bicycle. The insurance company wants to settle your case as soon as possible – and for as little money as possible. After an accident, you need time to determine just how serious your injury is, what medical treatment or physical therapy you need, and how much your lost wages will be. Therefore, it is crucial to retain a qualified personal injury attorney who is well-versed in Michigan laws regarding bicycle accident claims to achieve maximum compensation. We are experts at handling bicycle accident cases, and can help you with every aspect of the difficulties you face after a serious bicycle accident. Our bicycle accident attorney has a Master of Laws (LL.M.) in Insurance Law and knows how to protect you from the insurance companies, and to present your claim in the best way possible to ensure your rights are protected and that you get the maximum compensation available. If you or a loved one has been seriously injured in a bicycle accident, delay in obtaining legal representation may be a costly mistake. Please call 877-886-1441 or contact us online to schedule a free consultation. We are available 24 hours a day and 7 days a week. Home and hospital visits are available upon request. 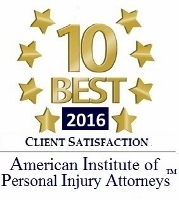 We will work diligently to ensure that you recover the full measure of compensation to which you are entitled.